Almost a quarter (23.9%) of the Foreign Investors Council’s (FIC) members who participated in a survey expect their revenues in Romania to contract in the next year compared to the previous one, the highest level in recent years. Meanwhile, 58.7% of the respondents expect their revenues to grow and 17.4% expect them to remain unchanged, according to FIC’s Business Sentiment Index. Business expectations are worse both when it comes to exports and sales on the domestic market. Some 18.5% of the respondents expect their export revenues to decline, compared to 0% in March 2018, and 22.2% expect domestic sales to decrease, up from 15% one year ago. Meanwhile, over 60% of the questioned CEOs Consider Romania less attractive compared to peer locations, down from 57% in March 2018 and only 21.7% in March 2016. As a result, more than a third (34.7%) of the respondents plan lower investments in Romania in the next 12 months compared to the previous 12 months, up from 19% in March 2018, and only 30.4% expect to increase their investments, down from 41% one year ago. Expectations are worse in terms of workforce as well, with 37% of the FIC members having lower workforce plans for the next 12 months, compared to 17% in March 2018. The less predictable legislative environment has significantly affected investors’ trust in the Romanian business environment. As a consequence, half of the respondents said the local business environment significantly worsened recently and 34.8% saw a slight worsening, the worst results in recent years. “We are still seeing a consistent number of respondents who are expecting their business to grow and who will continue to invest but there are signs that this trend is likely to inverse. It is too early to know if it is a short- term swing or something more structural. We will have a better view when we run the survey again in September 2019. By looking at these results we believe we need to sound an early warning that clouds may be gathering on the horizon and the complete lack of predictability we have seen in past years is starting to take its toll,” FIC said in a press release. Following the fiscal changes at the end of 2017 (OUG 79), another emergency ordinance - OUG 114/2018 - has dealt a heavy blow to important sectors of the Romanian economy, leading to a big plunge in the stock market both because of its provisions and the absolute lack of dialogue and transparency that characterized it. Businesses now operate in an environment where they expect at any moment an emergency ordinance that can impact their operations and profitability, according to FIC. 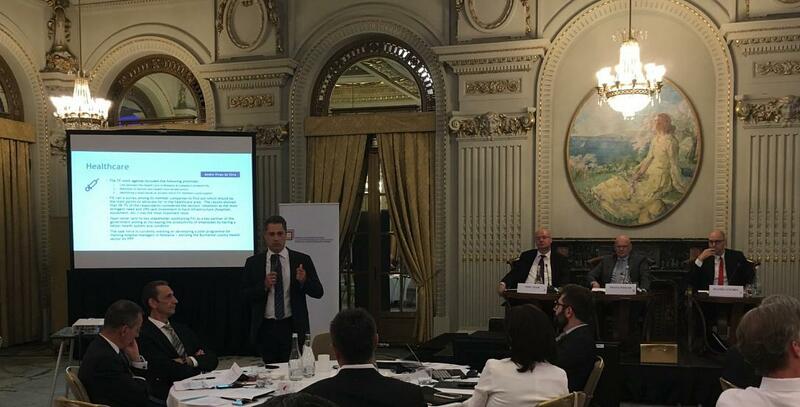 The business environment is currently confronted with new concerns about proposed changes to the social dialogue law, uncertainties regarding the Pillar 2 system and the Romanian capital market, labor force shortages or weakening demand in the Eurozone. The heavy focus of policymakers on judicial reform that is being criticized by the European Commission is also sapping sentiment as it leads to the impression that a good business environment is not a top priority, the business organization says. “Although we do not know yet how persistent the decline of sentiment among the investors is, we believe the window for easy reforms and fiscal stimulus is closing. If Romania is to keep growing at the current rate, there needs to be a serious change in the legislative process and comprehensive dialogue with the business environment is needed. Important legislation must not be passed without dialogue and impact assessments, infrastructure needs to be built, the administration digitalized and reformed and businesses need to move higher up the global value chain,” FIC concludes. FIC has about 125 members, which have a combined turnover of over RON 190 billion (EUR 40 billion) and 185,000 employees. Some 47 FIC members participated in the recent Business Sentiment Index survey.